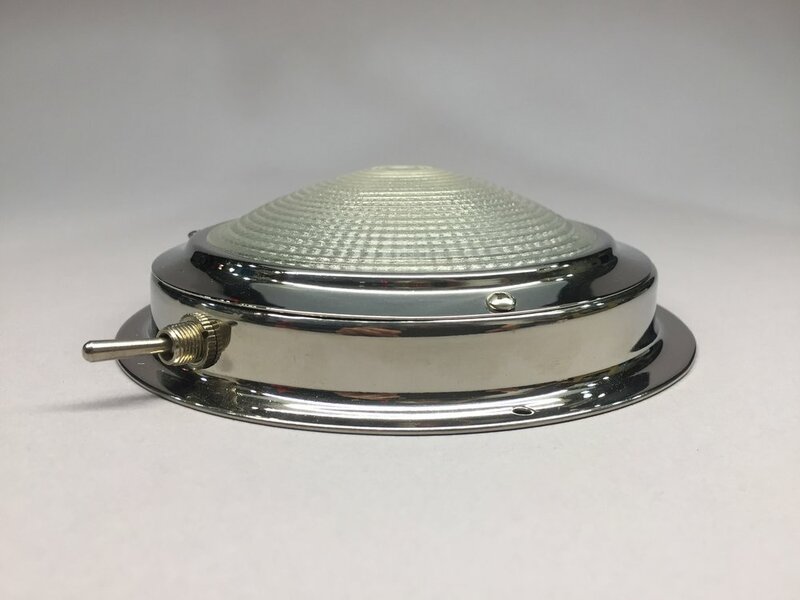 A functional LED fixture for RV and marine lighting | Holly Solar Products, LLC. Nova - a circular stainless steel marine LED fixture for task lighting. Comprised of a stainless steel housing with 3 way toggle switch and prismatic glass lens, the nova is a marine-grade LED task light. The nova is available in single and (custom) split LED lighting configurations, intended for use in interior and exterior lighting applications.